So you got your celiac test results and they are negative. Can you trust the results? The doctor did not take enough biopsies from different areas of the small intestine since damage is not uniform in celiac. The typical recommendation is 4-6 samples, but some say as many as 11 are necessary. The lab did not correctly interpret the biopsy. You used steroids – even just topical steroid cream, within the past 4 weeks! If you think human errors could have caused your negative results, you may want to stay on gluten and get retested. If your tests appear to have been valid, you can be pretty sure you don’t have celiac disease! If you’ve still got symptoms, you’ll want to work with your doctor to look into other potential causes. But since celiac disease is just one flavor of gluten intolerance, you still have one more step to take in order to rule out gluten as a source of the trouble. Go gluten-free for about a month, then reintroduce gluten. If you feel better without gluten, and worse with it, you’ve got at least a part of your answer. This post is on Freaky Friday on Real Food Freaks! Life-Threatening Allergies? Camp Blue Spruce is Safe! Question about IgA Deficiency. 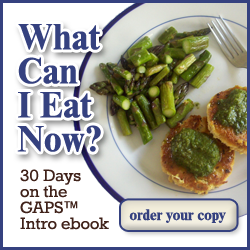 Do you know if you can get total serum IgA tested while eating gluten free. Years ago I was tested for ttg, IgA and was negative, but that was the only test preformed. I have been eating gluten free for the last 3 months and recently discovered that it could be possible I am IgA Deficient! Here’s my warning: I’m not a doctor of any kind… everything I say is my personal opinion based on things I’ve read and my own personal doctor visits, and definitely not medical advice! My understanding is that you can get total IgA tested at any time, and that people who are IgA deficient stay that way over time. The lab that runs the test will have a reference range that tells what a normal range is. Below that, and you can assume that you are IgA deficient and tests that focus on an IgA reactions are invalidated. If I were you, I would give my doctor a call and ask about whether you have a total IgA result on file and whether it makes sense to have it screened for now. I found that information when reviewing the information from the lab itself. The lab specified that their results would be invalidated due to the potential for false negatives if sterioids were in use. My understanding is that the issue is that steroids are anti-inflammatory and blocks the body’s immune result. This throws the results, since the blood work measures the body’s immune response. http://www.ncbi.nlm.nih.gov/pubmed/21140085 This article concludes that prednisone can impact the EMA test, which is one of the more specific and accurate components of the standard celiac panel. Thank you so much 🙂 I have some reading to do. The thing that led me to suspect celiac disease after much research, was that while on the prednisone… for the first time in my life, my fingernails were growing. Here I am, at 50… after a lifetime of nails that chipped and peeled themselves into nothing, learning how to file my nails? LOL Better late than never, I guess. Even though my test results had come back negative, I have been gluten-free to the best of my abilities for about two years. I still have some really rotten days, which is why I’m moving to GAPS. One of my first cousins has a positive CD diagnosis… her mom had died pretty young from sudden cardiac failure and she had some pretty classic CD symptoms (wheat belly… stillbirths) before that. It’s really kind of crazy looking back and seeing how this has affected so many family members for a very long time and none but my cousin with a diagnosis. Gah. You’re welcome! It sounds like you have a big piece of the puzzle figured out, despite your negative test results. It’s so sad to look into family history and see all the needless suffering that could have been so easily prevented. I use a 10mg pill of hydrocortisone every now and then, we’ll say once a week at most (it’s usually less), as a stress dose to help me in a stressful situation. I also have sporadically used steroid nasal sprays. Do you think this sporadic use of steroids would throw my testing off? I was just blood tested and didn’t know this information. Or is this more for continuous use? On another note, I have regularly eaten gluten in my diet for over a year now, I forgot to eat gluten the day before my blood testing (long story). The last time I ate gluten was about 32 hrs before the blood testing. Do you think that was ok to give me accurate testing? It does seem that I was positive for Igg antibodies to gluten. I also was only tested for Total IgA and tTG IgA in my panel. If ttg was positive then I would have been tested for EMA IgA. Do you think I should still pursue the EMA IgA, AGA IgA, AGA IgG, DGP IgA, and DGP IgG? I’ll start off by reiterating that everything I say is just my personal opinion. I am not a medical professional of any kind!!! Since you have been eating gluten regularly all year, I don’t think that 32 hours without it would have caused your negative test result. I do think the cascading testing scheme that many doctors use is not the best. Since each test has such a high potential for negatives, I like to see all the results in case any of them are elevated. The cascading testing approach says if ANY of these tests are negative, then it can’t be celiac. In light of the prevalence of false negatives, I prefer to take the approach that if ANY of these tests are positive (especially when combined with symptoms) then I want to take the most cautious approach and assume it’s a problem. As for the steroids, I don’t think the use has to be regular, but it does have to be within a month of the tests according to what I read. I imagine that some steroids would be more likely to affect the tests than others, but I have no idea which would have more of an impact. I would call the lab that ran your test and ask them if it could have been impacted by your steroid use or not. You may also be interested in the more sensitive (but less respected by the mainstream medical establishment) tests from Enterolab, and the more varied tests from Cyrex. Some people who strongly suspect celiac but have negative blood work opt for the biopsy. There is a significant population with positive biopsy but negative blood work. Or you could save yourself some money and a fight with your doctor, and totally eliminate gluten from your diet (and life) for a few months to see if it helps. Diagnosis or not, if gluten makes you feel terrible, it’s not worth eating! This is why it is very important to get tested for all celiac disease antibodies, not just tissue tranglutaminase IgA. It minimizes the chance of a false negative results. Doctors, however may not order the full panel. I tested myself and in my case, ttg came negative, but dgp came in positive. I used http://celiac-disease-test.com to get tested. Wow! thanks for the information! I just had a dermatologist tell me I have dermatitis herpetiformis. “Meaning, you have Celiac disease; you are allergic to gluten. You can not have this rash unless you have Celiac disease: so how old were you when you first broke out? Believe it or not is has been about thirty years! Today I had my blood drawn for a “celiac panel” to confirm the dermatologist’s diagnosis. Four hours later, I came across an article stating steroids can cause inaccurate results on a celiac panel blood tests. Now, at 2:45am, I worry the test was a waste. I read you have to be steroid free for 4 weeks. But these were shots to relieve pain – don’t know that I will ever be free. Monday I am getting 3 more lumbar shots. I have been disabled nearly 8 months due to a an accident. As I look back over the last 30 years, there were so many signs – that everyone missed. I pray I do not get a false negative results, thirty years of rashes are more than enough. It sounds like you are dealing with a lot of health issues… one amazing thing many people experience is that getting clear of gluten reduces inflammation in the body overall. You may find that your pain and other seemingly unrelated physical problems dramatically improve! I’ll be thinking of you, and I’m very interested to find out whether you are able to get positive results back even with your steroid treatments. I keep seeing research that people with Celiac/wheat allergies/sensitivities are much more likely to have IgA deficiency. This may be a bit of a redundant question, but does it work both ways? As in, is someone who is IgA deficient more likely to have a problem with wheat? I’m just trying to make sense of the cause-and-effect relationship, i.e., can IgA be the catalyst for celiac, or is it only that those diagnosed with celiac are also more likely to be Iga deficient? I was tested for IgA as a child because it runs in my family, and was diagnosed as being deficient, but was never told I had to do anything different, or would have to worry about food sensitivities. Any thoughts you could share would be really helpful. I don’t know the answer to that. It stands to reason there is a correlation there, but not necessarily causation. In either case, if you are IgA deficient it is a good thing to know as it invalidates blood tests that look at IgA levels. If you suspect celiac and are still eating gluten regularly, it might be worth getting a biopsy done. I wouldn’t do anything differently or worry about food sensitivities because of the deficient IgA levels. However, if you are experiencing health problems I would probably look into the possibility of needing to restore your gut health. We’ve found that the “food allergies” that our son had (via IgA, IgG, and IgE testing as well as some symptoms) cleared up once he’d been totally gluten-free and on GAPS for a while. I believe the biocard test looks for the IgA antibodies. This is only one part of the full celiac panel. It is possible the rest of your bloodwork and biopsy were negative despite a positive result for this one marker of celiac disease. Which tests did you have run by your doctor? Researchers are learning that many people are sensitive to gluten even if they don’t test positive for celiac disease. From your symptoms, it sounds likely that you do have a problem with gluten. No one can stop you from cutting it out and seeing if your condition improves. Were I in your shoes, I’d first find another physician who is willing to really listen to you, and then I’d try completely eliminating gluten for at least a couple months to see if it helps (after testing is complete). Great post! It’s important that people understand false negatives are a possibility. I’m a biopsy diagnosed celiac but I’m also IgA deficient so the blood test was negative. Because I had lots of symptoms they continued onto the biopsy and luckily (sort of!) that came back positive so I had my answer. I had a few blood tests run recently – I know tTG and total IgA were among them, but again – everything “normal level” (except for HDL cholesterol, which is low). My symptoms are stereotypical “celiac” – pain, constipation or diarrhea, bloating, “brain fog”, rashes, frequent joint pain/stiffness (remember, I’m only 21). Needless to say, I’m extremely frustrated. This condition has pretty much ruined the last few years of my life. Forgot to add – could it be possible that the small intestine has not been damaged enough to yield a significant tTG change? I also have a family history of unexplained “stomach pains” on one side and severe eczema (“really bad if I eat a lot of dessert”, they say) on the other. Hi, thanks for your post. I Have been diagnosed with small intestinal bacterial overgrowth which is not responding to multiple rounds of antibiotics. I have had symptoms my whole life and I am thirty nine. I went to a kineseologist because I was getting so frustrated, and she said I have Celiac. But her method of determining that was through dowsing which didn’t seem scientific enough for me. I have had a blood test for celiac a few years ago and an endoscopy. I don’t know if they took a biopsy for celiac during the endoscopy. Can I take another blood test if I have been gluten free for a year, however I have been eating spelt and I very occasionally cheat. I’m sorry to hear that your SIBO is not responding to the antibiotics! Have you also been using herbs and migrating motor complex stimulators and a diet such as SCD or GAPS to help as well? As for celiac – it is extremely rare to get a positive result after a year of being mostly gluten-free, even if you are celiac. The tests are just not sensitive or accurate enough for that. Some doctors recommend a gluten challenge after which they test you, and I actually decided to try that. My research led me to believe I’d want to try 20 grams of gluten per day for 3 months (at least 2) in order to have hope of a positive. My challenge was *miserable* and brought back symptoms which took months to recover from even after I was gluten-free again. I had to quit my challenge early due to intolerable symptoms, *AND* I got a negative test result. I do not recommend a challenge if you know gluten is not good for you. If you need to do it to prove it to yourself – positive test result or not – like I did, well, I can’t fault you for that. It’s a personal decision, and one I regret a bit. I was given the Tetanus, diphtheria and pertussis vaccine about 15 minutes before my blood was drawn for the celiac panel. I know I am being really paranoid about this but could that affect the test results? I am not a medical professional, but my personal understanding is that the vaccinations will not impact a celiac screening in any way. Mama, I have a 6 year old who has had many things go on with him over the last 6 years. He was originally texted for celiac has a baby (still mostly breasts feeding) and his result was negative. Back then we heard to negative diagnosis and ran with it, however after reading this info I’m wondering what the chances are that it was a false negative. False negatives are more common in babies. It might be worth going back to a GI and asking about retesting, assuming your child is still eating gluten. If he is not eating gluten and is doing better, I don’t think retesting (which means reintroducing it) makes sense, though. Yes my son is still eating gluten we hadn’t thought much about it in serveral years. In the last year+ he has begun to display symptoms of severe mental health issues. We are trying so hard to find the answers to many questions. I came across you blog while googling food induced pshycotic episodes. He’s on the verge of being kicked out of public school and we’ve tried so many things with little or no results. I also have a whole section of this site dedicated to GAPS. Dr. thinks I have D.H. He did a skin biopsy but I was on prednisone for 2 weeks and had taken a dose that morning. Dr. said the lab said the results were “confusing”…could that be why>? Did you get a copy of the results? What did your doctor find confusing? Did your doctor biopsy the actual blisters? Steroids can affect test results, so yes, that could be a source of confusion. I believe testing is important, however, in the event the test comes back negative but the symptoms still persist, my advice is simple: Remove all traces of gluten from the diet for 2-3 months. Be very strict about it. If your symptoms go away, chances are, you are gluten intolerant. It can be very damaging to continue eating culprit foods as they could lead to autoimmune dysfunction and even intestinal cancer. I outline the importance of this in my article linked below.